You need expert service to keep your BMW running like new. 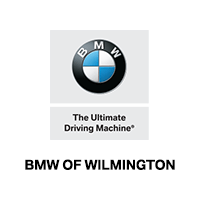 That’s where BMW of Wilmington in Wilmington, North Carolina, comes in. Using Genuine BMW parts, our team of dedicated professionals can tackle basic maintenance, minor repairs, and even major collision repairs. Our service center provides a number of amenities that are sure to help your visit go smoothly. For convenience, we’re open from 8 a.m. to 4 p.m. on Saturdays, and we offer many services performed in an hour or less when you schedule ahead with BMW FastService®. While you wait, you can enjoy the computers, complimentary Wi-Fi, and gourmet coffee and refreshments in our quiet lounge. Should you need a major repair, we provide shuttle service, roadside assistance, and loaner vehicles. If you need to have your BMW looked at, schedule a service appointment today and let our technicians get you back on the road. View our BMW service coupons to make sure you get a great deal.